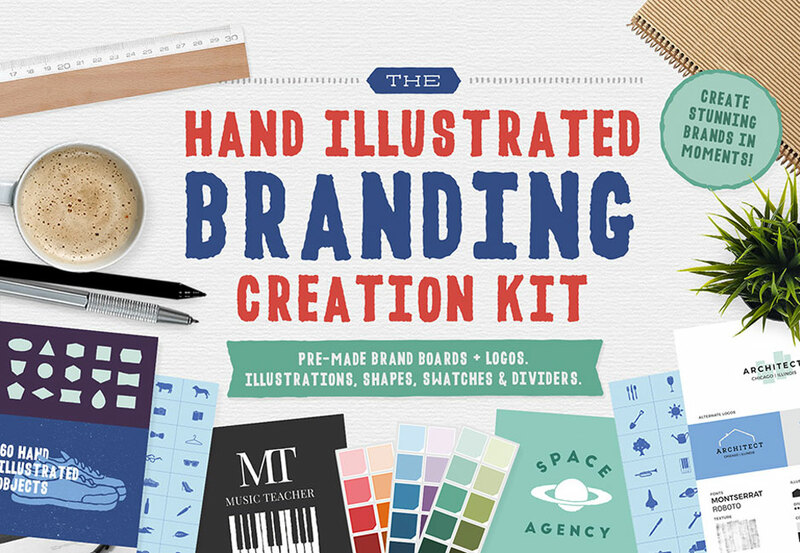 The Hand Illustrated Branding Creation Kit: 60 Objects, 45 Dividers, 60 Vector Textures + More! Are you looking to create great looking branding work more easily? Then look no further! 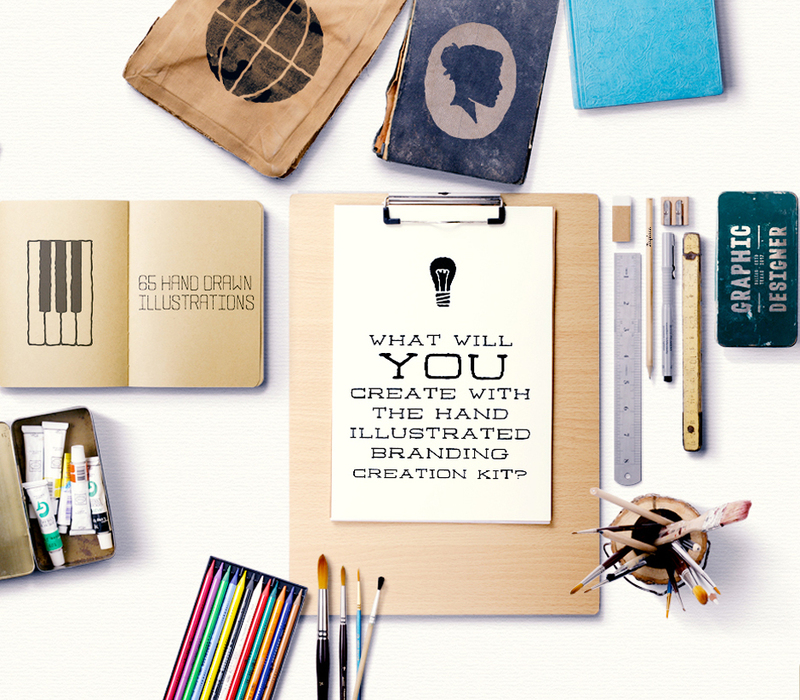 The Hand Illustrated Branding Creation Kit gives you a complete toolkit for all your branding needs. Discover hundreds of hand illustrated elements, including graphics, decorative elements, fonts, textures, branding boards, colour palettes and more. This brand new pack will save you countless hours and give you endless creative possibilities. This exclusive new product is available for 50% off, for the first 36 hours only. This intro discount will expire at midnight (UK time), Wednesday 18th October 2017. The hundreds of elements in this pack can be dragged/dropped into your projects, allowing you to whip up amazing looking branding work in minutes. All elements are included in .EPS vector and .PNG formats for your ease. Pre-made branding kits. These include 10 brand boards, and 30 logos. Use these boards to easily mockup branding work across a range of key industries. Software Compatibility: Adobe Illustrator and Photoshop CC and newer. .EPS files will work with a variety of programs such as Adobe Photoshop or Illustrator CS or newer, Sketch, InkScape, Affinity, Corel Draw, etc. .PNG files will work with most graphic software. File size is approx 795.2MB (1.37GB unzipped), offered as a single download. Love this bundle! thank you so much!